A disputed territory in the central Balkans, Kosovo is considered by many nations to be Europe's newest country. The independent state, once part of Serbia, has no shortage of colorful history. Tourism is still a small industry in the country, and visitors will witness the scars of war as recently as 1999, when Serbia revoked the territory's autonomy. Today, Kosovo is mainly ethnically Albanian, with a Serb majority in the north, as well as large numbers of ethnic minorities. Active UN troops still work in the country, guarding Serbian monasteries that date back to the 13th and 14th centuries. Despite this, Kosovo is a safe and stable country to visit to explore off-the-beaten path. The mix of World Heritage Sites, wild countryside, and welcoming hospitality will surely bring visitors in droves as the word gets out. Kosovo is in Europe. 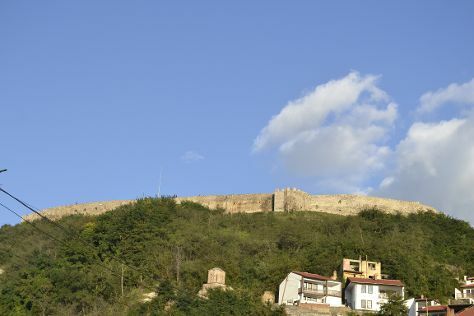 Use our Kosovo trip planner to arrange the details of your trip to Kosovo and other destinations.